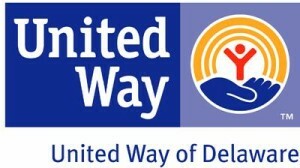 Madison Adoption Associates is an affiliate member agency that meets United Way of Delaware’s rigorous management accountability standards and it is eligible to receive donor-designated contributions through the United Way campaign. Madison Adoption Associates’ Designation Code is 11601. Generate Donations to MAA while you Shop Online!!! AmazonSmile is a simple and automatic way for you to support us every time you shop, at no cost to you. When you shop at smile.amazon.com, you’ll find the exact same low prices, vast selection and convenient shopping experience as Amazon.com, with the added bonus that Amazon will donate a portion of the purchase price to your favorite charitable organization. PayPal Giving Fund makes it safe and easy for PayPal’s more than 100 million users to find and support the causes they care about at home or on the go. PayPal is making new connections and inspiring people to give more – and more often. GoodSearch is a search engine which donates 50 percent of its sponsored search revenue to the charities and schools designated by its users. You use GoodSearch exactly as you would any other search engine. Because it’s powered by Yahoo!, you get proven search results. The money GoodSearch donates to your cause comes from its advertisers the users and the organizations do not spend a dime! Choose “Madison Adoption Associates” under Charities. iGive is a free service which enables our members to earn money for their favorite cause whenever they make an online purchase or search the web. The donations keep growing as you keep shopping! Select “Madison Adoption Associates” under Causes. Donate up to 30% of your purchase price to Madison Adoption Associates Ltd. when you shop at 2,500+ popular online retailers using Giving Assistant! It’s easy. Giving Assistant pays you cash back, and you choose how much of it you’d like to donate to us. Try it now and find great deals like exclusive Best Buy coupons, as well as savings at great places like Gap (4%) and ULTA (2%)! Use Giving Assistant to save money and support Madison Adoption Associates Ltd.